We are still absorbing the very early Aether Revolt leak from yesterday which delivered three full and one partial Magic: the Gathering spoiler. The MTG community at large were most decidedly abuzz with the Yahenni card. Akin to an ever so slightly diminished Languish, but delivering a free spell of three converted mana cost or less from your hand. We fully expect to see this get popular play in standard constructed. 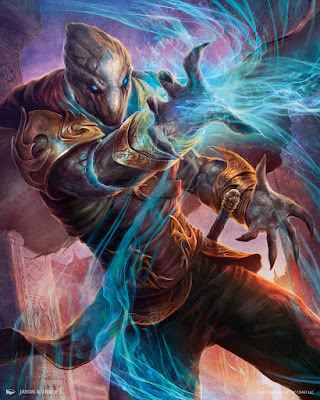 Speaking of Yahenni, it is of great surprise that this Aetherborn is the subject of today's Magic Story Installment. Do pop on over to the mothersite to read 'In the Dead of Night', wonderfully penned by Alison Lurhs. Today we learn that the Atherborn creature known as Yahenni, is a notable citizen, socialite and philanthropist, but also has just become something more dangerous - an Essence Drainer. Not all Aetherborn can draw life essence from other beings into themselves to prolong their own existence, but Yahenni is able to. Certainly not an evil being leeching life from another, but more like Louis (played by Brad Pitt) in 'Interview with a Vampire', who detests the thought of becoming a murderer. Big news out this afternoon - our very first Aether Revolt spoiler. Due to be released on January 20, 2017, we were not expecting anything (officially) on the radar until sometime during the year-end Christmas Holidays. 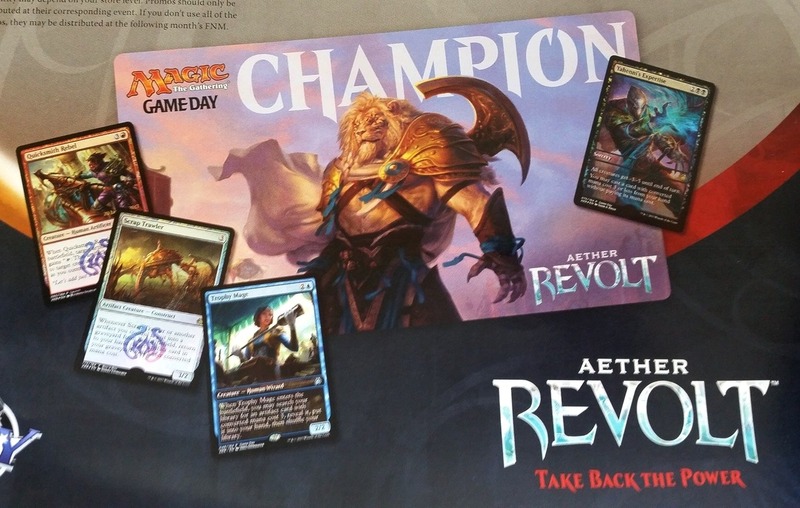 It appears a local gaming store (quite possibly in Kerrville, Texas) jumped the gun and posted an image of Game Day playmat and promos to their Facebook. Whoops - we are quite certain they will be getting a call from Wizards of the Coast about this. That Ajani playmat - just epic art. We can now start to speculate on this Planeswalker's abilities. All creatures get -3/-3 until end of turn. You may cast a card with converted mana cost 3 or less from your hand without paying its mana cost. When Trophy Mage enters the battlefield, you may search your library for an artifact card with converted mana cost 3, reveal it, put it into your hand, then shuffle your library. Whenever Scrap Trawler or another artifact you control is put into a graveyard from the battlefield, return to your hand, target artifact card in your graveyard with lesser converted mana cost. When Quicksmith Rebel enters the battlefield, target artifact ??? gains "T: This artifact ??? to target creature or ??? We hope that all our American cousins south of the border had a wonderfully happy Thanksgiving long weekend. Many in North America braved the crowds for Black Friday sales (more of a thing in the U.S., but seeing a rise here in Canada), and there looked to be some good deals for Magic: the Gathering fans as well, as we carry on in to 'Cyber Monday'. The MTG Realm group did not really foray far from our secret lair over the weekend, but we did drop by OMG! Games, here in Barrie, Ontario to take part in the first of four special Magic: the Gathering 'Standard Showdown' series. This gaming event, takes place each Saturday for four weeks at participating gaming stores which are supplied with special three-card booster packs to assist local stores in promoting standard format organised play and attendance at the store's Friday Night Magic event. 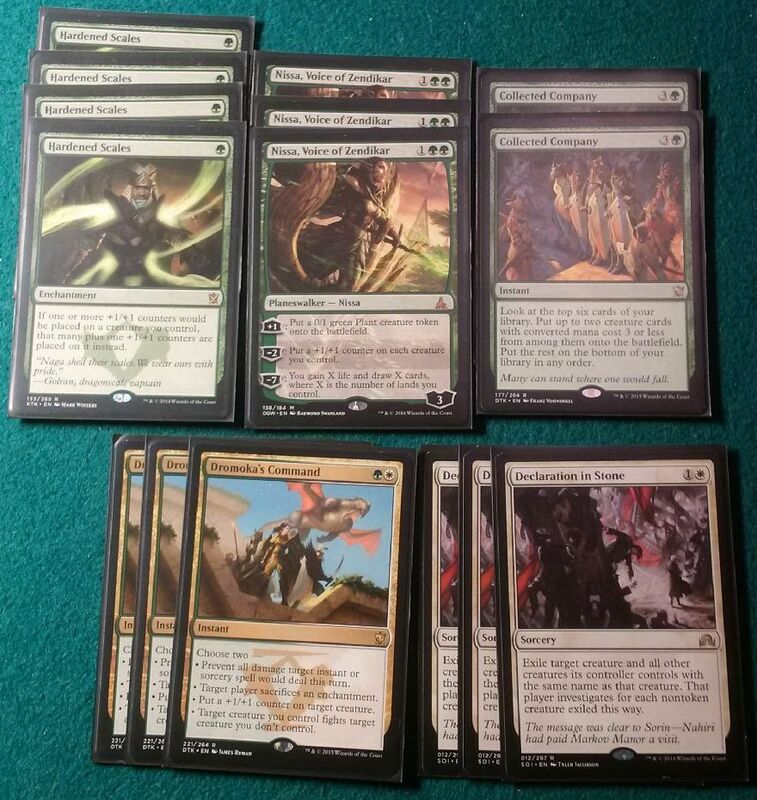 We are attempting to try four different standard decklists out at each of these. On the weekend, we brought along a Red Green Energy decklist, not too unlike the 'Deck of the Day' list posted by Eric Froehlich to Channel Fireball linked right over here. With two wins and two losses (each loss going to game three), this decklist seems like a decent budget choice for standard. There are some ridiculous plays involving Turn 3 kills, and during one game, that Electrostatic Pummeler swung in as a 76/76 turn five for the win. The lost matches involved some misplays by us and we definitely need to know better when to mulligan and when to keep an opening hand. 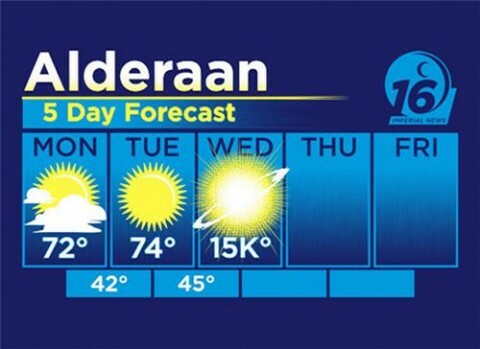 Sort of disappointing, but we won't complain. With about a one in thirty-three chance of pulling an 'invention', this really is just a card lottery. 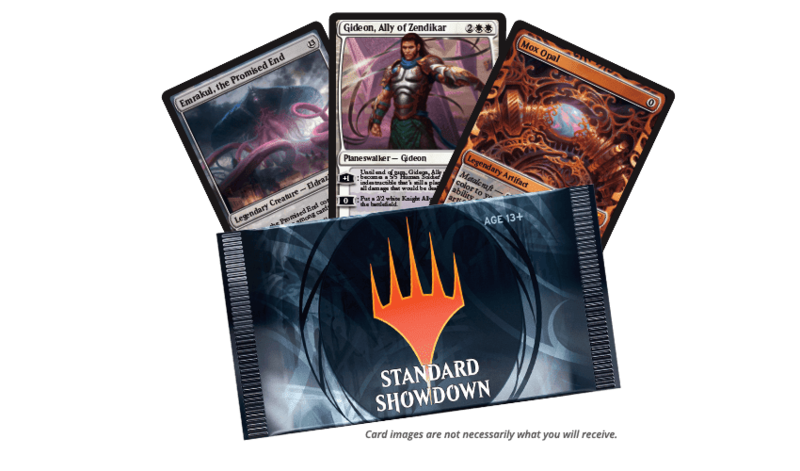 We think the Standard Showdown promotion is needed - we've heard about a slow decline in Friday Night Magic attendance and although this may not solve the issue, it certainly is a good component to a suite of measures Wizards of the Coast should employ to address the issue. 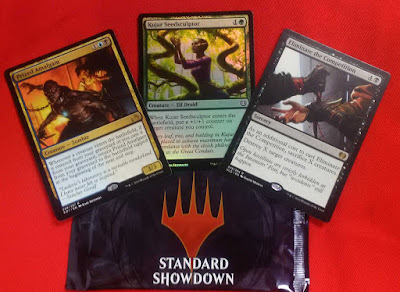 Locally, our store had approximately the same number of players out to participate in the first Standard Showdown event as they typically see during a Friday Night Magic. There were however a few new faces, or at the very least, some players who had not been playing FNM for a while. Whether they had come out as this was a 'free' event, or perhaps their personal schedule conflicted with their former Friday evening games, we could not tell. The other reason may simply be for the chance of getting one of those Standard Showdown packs which paid out. What we do know for certain, is that if FNM attendance is in decline, more study is required. 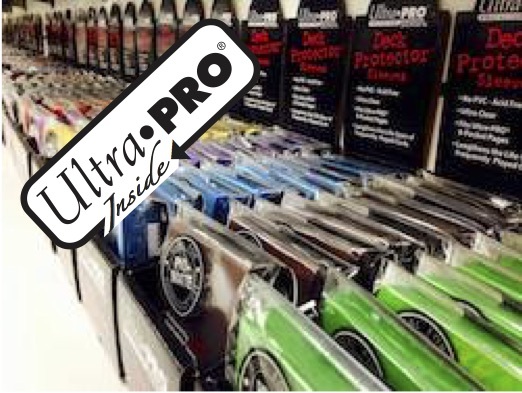 Find out why some stores are packed on a Friday, and for those which are not, no number of FNM promo cards will likely get players back through the doors. Here in Ontario, it is the Grey Cup finals for the Canadian Football League and you may have heard that they were giving away tickets to the game with a combo-pizza deal (for $29.99 !). If fans will stay away even with the offer of (essentially) free pizza, something is broken. On Monday, WotC staffer Blake Rasmussen posted a rather interesting article to the mothersite (linkage over here). 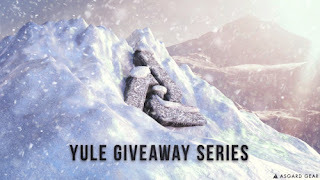 Properly titled, Magic Holiday Gift Guide and Holiday Buy-a-Box promo, this may be the first artilce we beleive that really was directed towards family and friends of the Magic: the Gathering player. 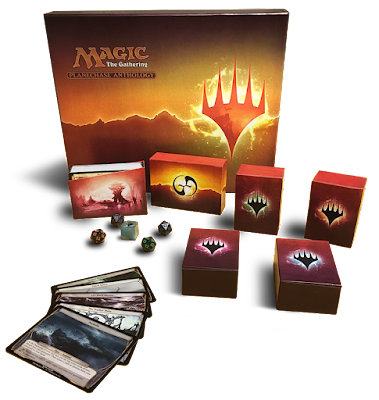 This is undoubtedly a rather difficult assessment for those individuals who know that the MTG fan in their life would be estatic to get a MTG present, but given the diverse nature (the many and varied formats), choosing the right gift is difficult. There may be some who think it impersonal to get a gift card at 'that store' the player goes to regularily, but perhaps it may be the best default choice. Blakes artilce is perfect as it provides five clear choices for selecting the best Magic: the Gathering gift based upon what type of gamer they may be. 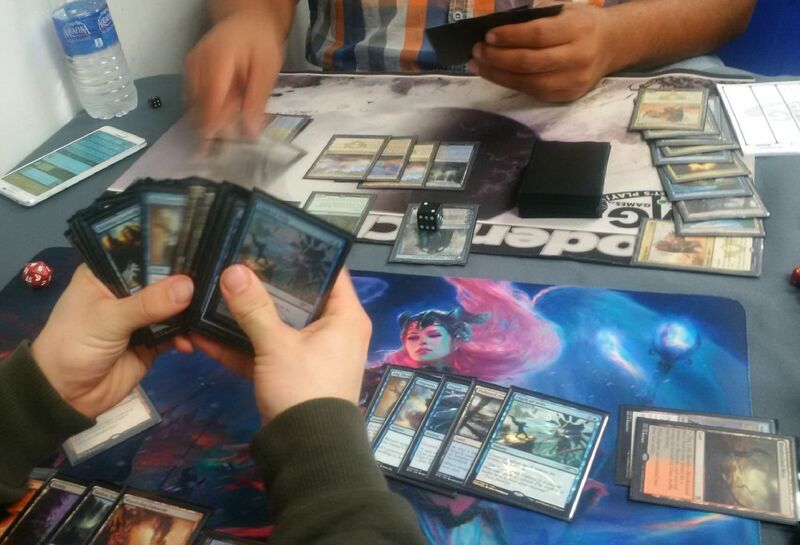 Speaking of MTG Holiday gift giving, MTG Realm popped in to our local gaming store, OMG! Games, here in Barrie, Ontario to pick up the 2016 Kaladesh Gift Box, as an early present to ourselves. Here's a short video of the unboxing. The foundries of Kaladesh run like clockwork under the supervision of their formidable overseers. Here in Central Ontario, Canada, the weather is absolutely lovely and as we head into the weekend, more unseasonably warm weather is on tap. This Saturday at OMG! Games in Barrie is a Modern tournament for cash and credit and the doors will likely be wide open to take advantage of the nice weather. Also of interest is that a lot of the migratory birds are postponing their trek south for the time being until winter closes in. 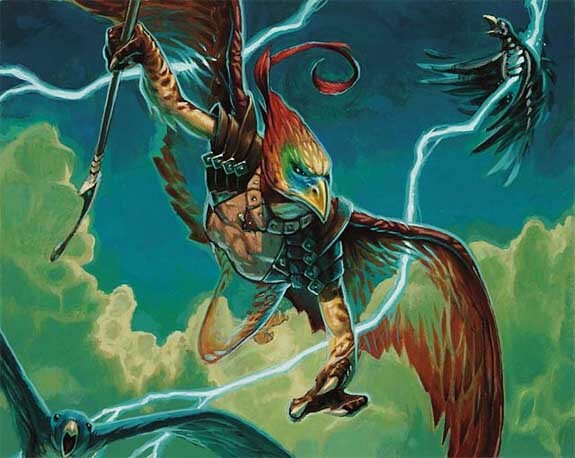 Speaking of birds, we want to yatter about birds, or quite specifically Aven for today's article on MTG Realm. Why? 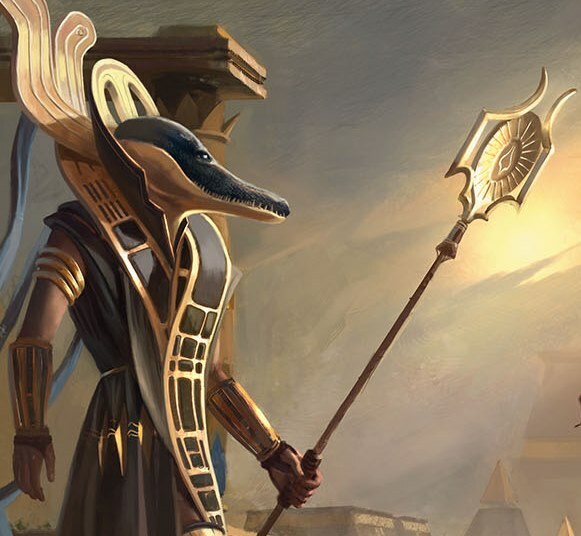 In our recent article covering the key art for the upcoming Amonkhet set, among the ancient Egyptian themed therianthropic characters there appeared to be an Angel, or an Aven or perhaps an altogether different creature. Our betting money is on an Aven. In Magic: the Gathering, Aven are sentient, anthropomorphic bird creatures found on a number of different Planes of existence. 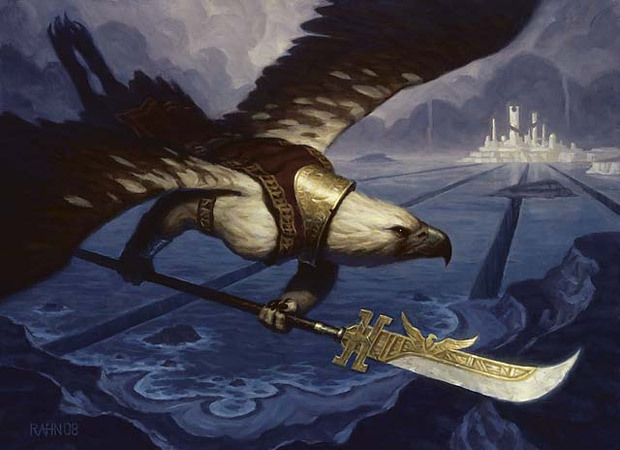 There was quite a strong showing of Aven on the Dominarian southern continent of Otaria. Otarian Aven resemble humanoid eagles, possessing arms, legs, and powerful flight wings and in most cases to be part of a military order. Some of the Otaria Aven appeared more Owl-like in nature, similar to some habitating the (Bant) Shard of Alara and other Planes. Other Aven don't appear as majestic, and in some cases, just kinda scary. 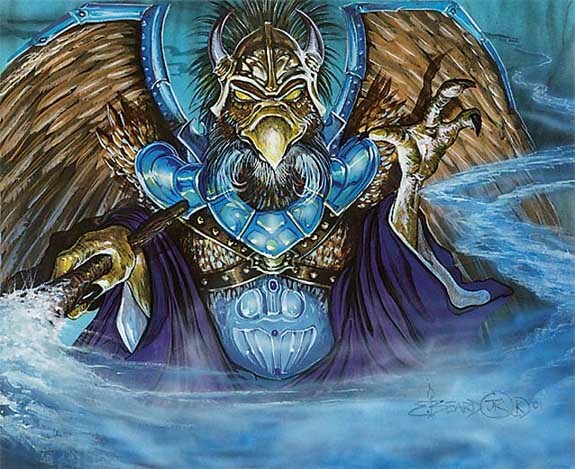 The vulture-like Aven scavengers of Kathari fit quite nicely in the Shard of Grixis, and share some characteristics of the crookclaw Aven on Otaria. On Tarkir, each Aven being takes on characteristics associated with the Clan they belong to. The wizard-like Jeskai Aven, the brave and noble houses of the Abzan or the darker most sinister Aven with the Sultai Brood. It seems for the most part, the Terran idiom 'birds of a feather flock together' do not hold true with the greater Multiverse. As you know from our posts over the last 8 years, we here at MTG Realm have great affection not only for 'playability' of a Magic: the Gathering card but also for the storyline (vorthos) but also for the card art. We are always thoroughly entertained when Wizards of the Coast requests their artists to provide subtle references to either a storyline or another card within their illustration. We are definitely fans of these 'Easter Eggs' or sometimes referred to as 'ensemble piece', as is our buddy, fellow dog fancier and 'MTG Art guy' Mike Linnemann (@VorthosMike) over at Gathering Magic. 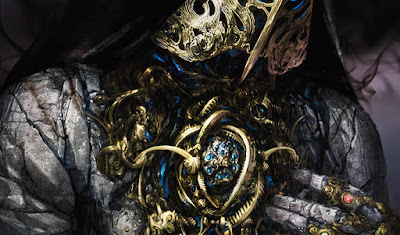 Take a moment and pop on over to the great Easter Egg for the Conspiracy: Take the Crown card art for 'Expropriate' that Mike had deconstructed in this Gathering Magic article here. Anywhoos, as we did not start playing Magic: the Gathering until Lorwyn, we do sometimes miss the hidden gem in a card art, or at the very least, it is a bit challenging (read: fun) to float out the cool references. 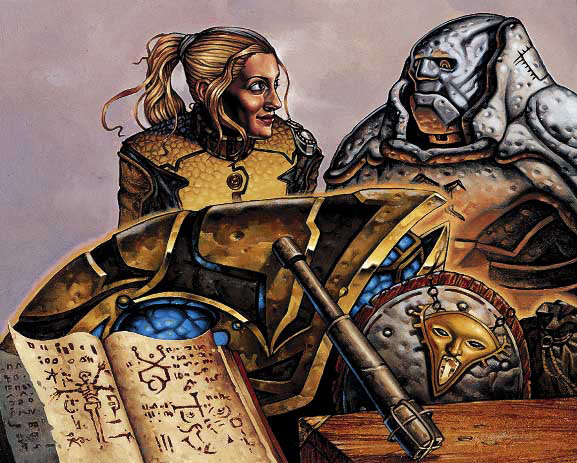 Here is the art for 'Treasure Trove' from Exodus, illustrated by Michael Sutfin. Your challenge is to identify the SIX card references hidden within this card art. We hope that you would have immediately identified everyone's favourite Silver Golem, Mr. Karn himself, quite prominently featured within image top-right. Did you get the others ? 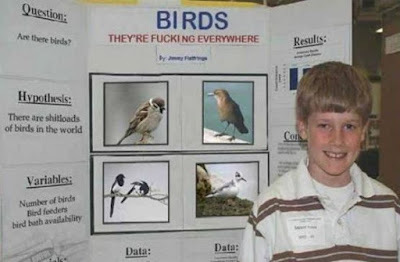 One last note, which is rather witty. Given Null Rod (an artifact to nerf other artifacts) is on the table, one would expect it to be Kryptonite to Karn and other artifacts within the illustration (which require an activation cost). We have again here at MTG Realm another batch of Magic: the Gathering news and updates, so strap in and let's go. Congratulations to Tom Ross to winning the StarCityGames.com Modern Open tournament in Columbus this past weekend witha G/W Tron list. Jack Kiefer took first place in standard at the venue with a W/U Flash build. 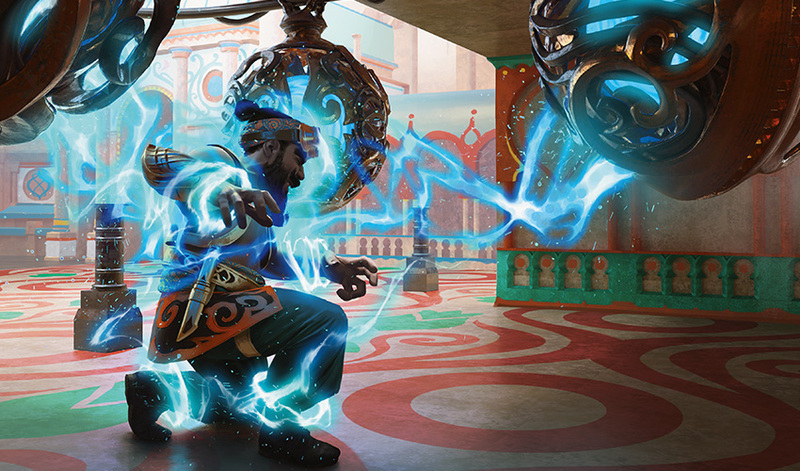 You can see the full lists for Standard and Modern over at SCG. 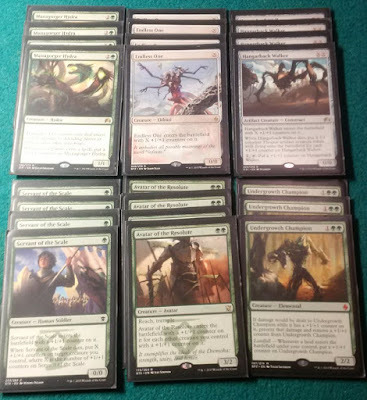 Of interest for Modern was a Mono-White Martyr of Sands list played by Lance Shultz who had placed 26th. 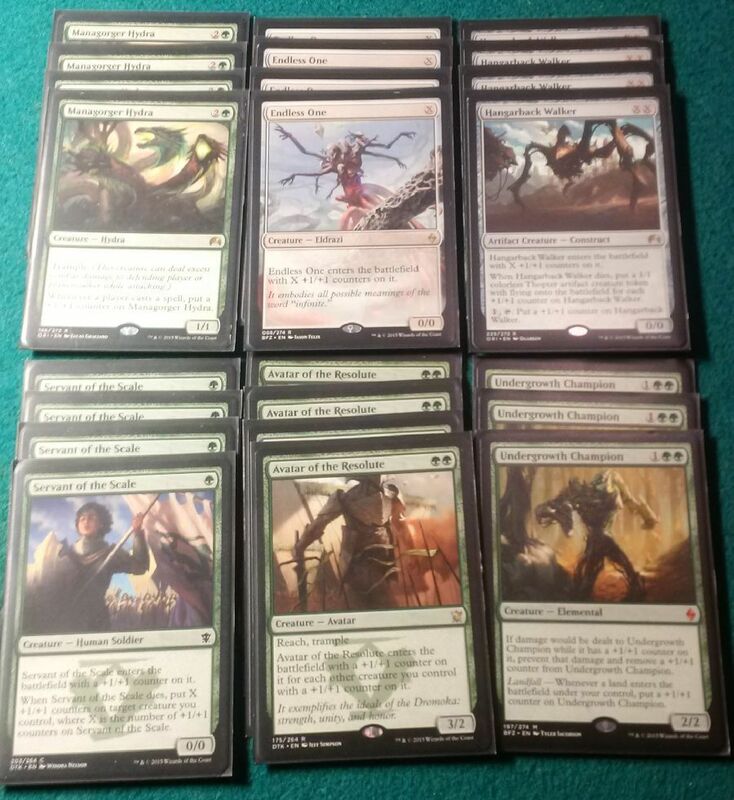 On the standard side, the metagame looks to be predominantly W/U Flash, and B/G Delirium lists. There were however two decklists of note which posted decent results - B/U Zombies played by Steve Rubin who had placed 4th and a G/R Energy list played by Andrew Eales who had placed 7th. 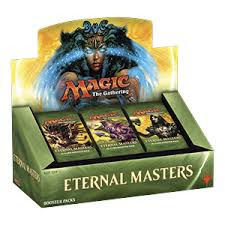 There is to be a "modest" reprint of Eternal Masters. Eternal Masters is a booster-based compilation set containing cards legal in, and intended for, the Legacy, Commander, and Vintage formats. Originally released on released on June 10, 2016, expect to see to see these in store likely within another month or so. Announced on the mothersite linked here, Wizards of the Coast have announced an interesting prize support scheme to improve / boost in-store standard format play. The announcement indicates 10 'Standard Showdown' prize packs for each store holding a standard format tournament on Saturdays between November 26 through December 17 (for a total of 40 prized boosters). • A premium card from a currently legal Standard set, including Zendikar Expeditions and Kaladesh Inventions, not including double-faced cards. • Two non-premium cards that are either a rare or a mythic rare from a set currently legal in Standard* (Battle for Zendikar through Kaladesh). 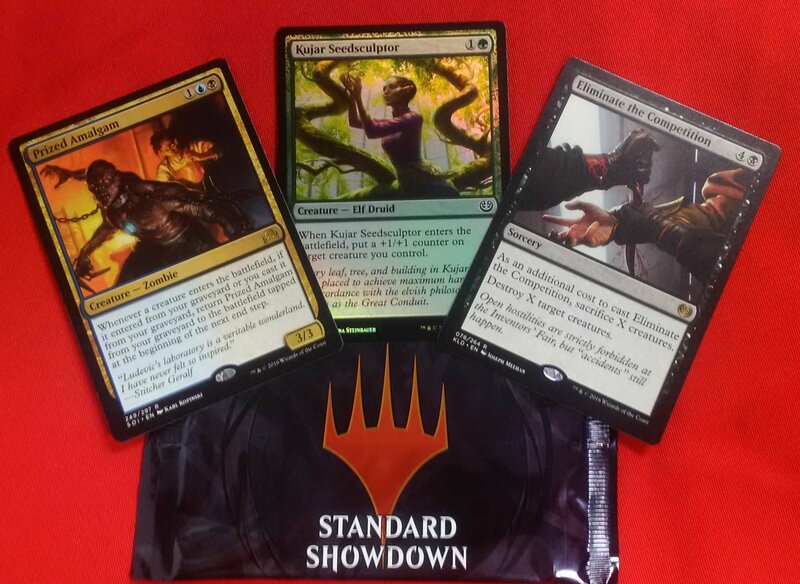 Cards from Oath of the Gatewatch and double-faced cards are not included within the prize booster pack. The announcement also indicates that Zendikar Expeditions and Kaladesh Inventions appear in roughly 1 in 33 boosters. Not to shabby we think. This was originally announced in the massive 'Announcement Day' posted back in May which did not include much in the way of details. Today's announcement however did provide all the nitty-gritty including product image. Essentially, Planechase Anthology is a product in the Planechase series that gathers the previous Planechase products together in one package to be released by on November 25, 2016. We had a great time on the weekend at our local gaming store, OMG! Games, here in Barrie, Ontario playing Magic: the Gathering ‘Frontier’ format. This very new casual (not officially recognized by Wizards of the Coast) game format, also known as Postmodern is a casual constructed MTG format allowing expansion and core sets from Magic 2015 onward. Essentially, this format uses the modern card frame incorporating the custom WotC Beleren font, the holofoil stamp for rares / mythic rares, and collector information, where deck construction rules are the same as in Standard and Modern format. Specifically, the following card are legal. Of note is that the format also allows for cards appearing in the Magic Origins sample decks, Welcome 2016 expansion and Planeswalker decks. The format does exclude (quite rightfully) the Masterpiece cards (some players calling it ‘treasure cards’) within the Kaladesh set (and those going forward). 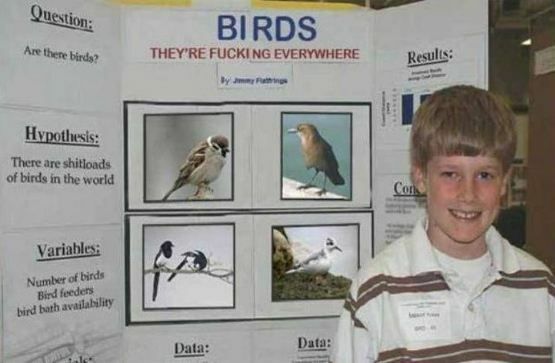 So how did we get here? Similar to other MTG casual game formats - a grassroots movement by the gamers. Should this catch on with other gamers wanting to play the format and gaming stores throw in support to organize events, then we on certainly on the road leading to a recognized format. In late September, two of the larger gaming stores in Japan, BigMagic and Hareruya, known for a robust Magic: the Gathering player base announced that they would be organizing weekly Frontier tournaments. Greatly assisting the spread of the news of this format was the fact that both stores also offered very generous prize support. 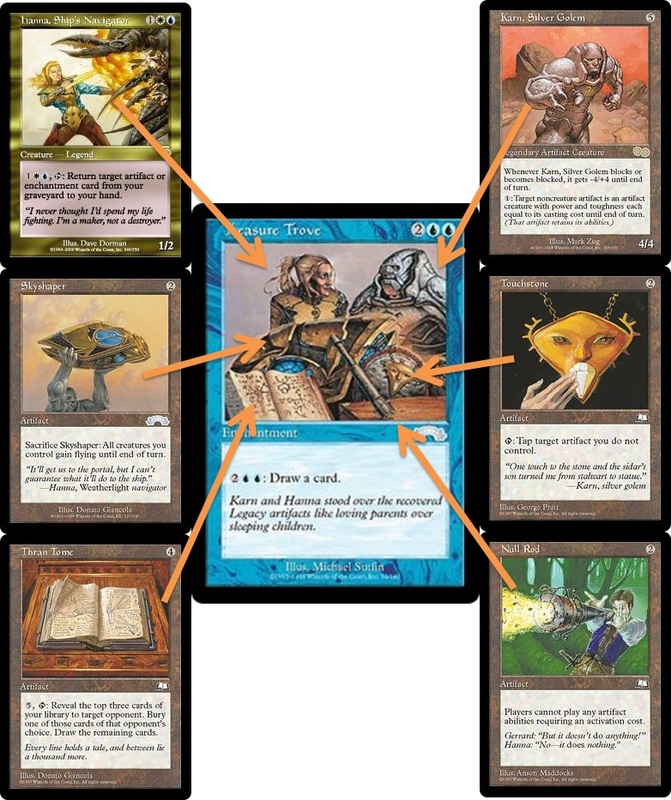 Another reason for the genesis of this format may be attributed in a way to the the discontinuation of ‘Extended’, a format very similar to that of the new Frontier but with the addition of Theros Block (Theros, Born of the Gods and Journey into Nyx). The big difference here was that Extended was a format that (formerly) rotated annually with each new ‘fall’ block in the Autumn. With the rise of popularity in Modern, Wizards of the Coast decided to retire Extended, which may have left an open space near and dear to some players. How did MTG Realm get interested in Frontier? A few reasons come to mind, the foremost though was a nostalgia for a few decklists we were very sad to see rotated out of standard. Our local game store in Barrie has solid gaming community for Standard and Modern (as well as Commander) and Frontier offered a unique bridge to those who may have wanted to try out the ‘other’ format. 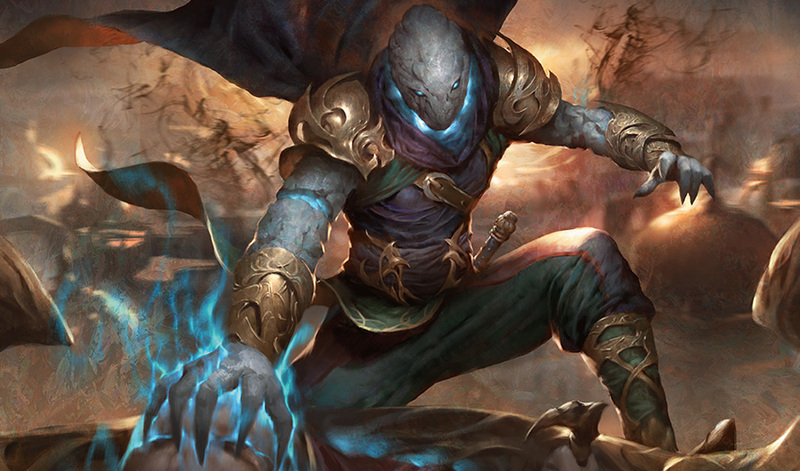 In our recent tournament, most of the field was Jeskai Ascendancy variants - combo, control, aggro, and tokens. Perhaps not too surprising given the huge past popularity of Dig Through Time and Treasure Cruise (Frontier has not banned or restricted cards). 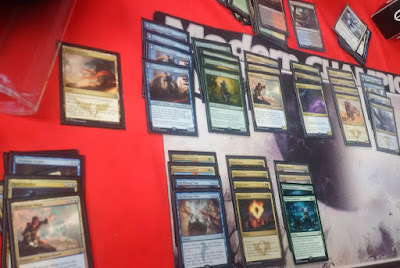 There were four other lists which were not Jeskai - a cool Mill deck (run by Richard the LGS Owner), an Abazan-Blue list (love for the Siege Rhino), a Blue-Black control list and ours - the single Hardened Scales list in the tournament. In summary, we rather like this format just as it is. Some may say that given the mana base (half the fetch lands, missing pain lands), this may lead to slower game play. This in turn may, develop into an imbalance of archetypes perhaps, but given the future additions of new sets, we do not see this as a systemic issue. Should you have a chance, we’ll definitely encourage you to give Magic: the Gathering Frontier format a try. Pop on over to the Frontier community at this link on Reddit to learn more. 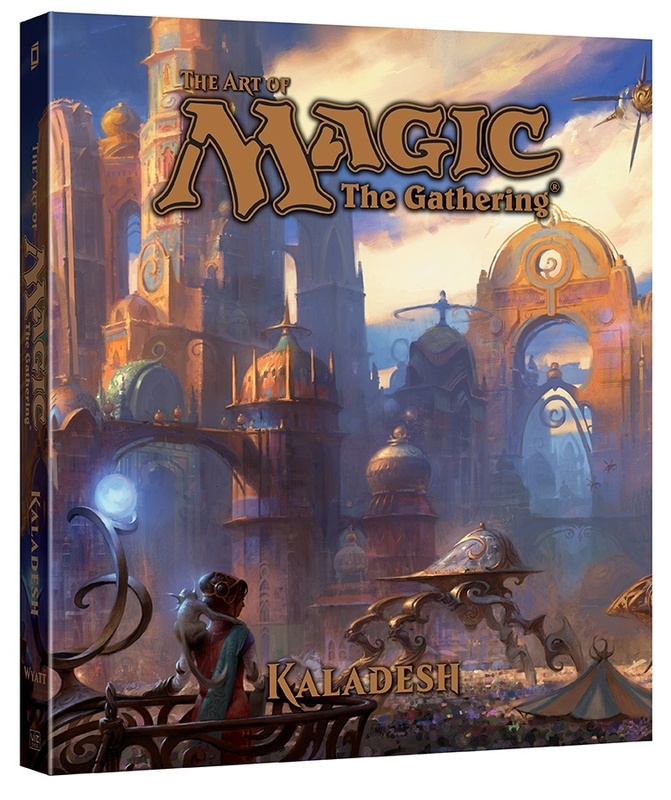 In yesterday's post, linked here at MTG Realm, we had covered off the announcement of the next 'The Art of Magic: the Gathering' art book offering from Wizards of the Coast and Viz Media. 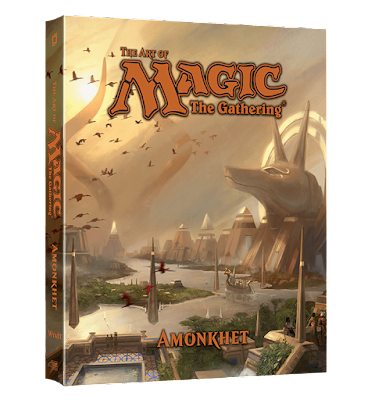 Scheduled for release in July 2017, 'The Art of Magic: the Gathering - Amonkhet', is timed to correspond with with the second set in the Amonkhet block, called 'Hour of Devastation'. If you have followed MTG Realm since we first started blogging about Magic: the Gathering in 2008, then you will know we love Magic spoilers and speculation and definitely revel in the storyline (vorthos) and incredible art that Wizards of the Coast uses. To the point now - After yesterday's post by WotC, Viz Media followed up with their own news release. This post not only provided some tantalizing descriptions of the Plane of Amonkhet, but also delivered a a bonus - the full key art, illustrated by Titus Lunter in the form of a 1920 x 1080 px wallpaper which expands the art book cover image. We definitely need to talk about this. First, let's go through the official blurb for the book and accompanying commentary. Wizards of the Coast and VIZ Media have jointly announced plans to expand THE ART OF MAGIC: THE GATHERING® collection with THE ART OF MAGIC: THE GATHERING – AMONKHET, scheduled for release in July 2017. The fourth and latest release in the ongoing series of impressive hardcover editions featuring artwork from Magic: The Gathering will present scores of full-color illustrations from an array of talented artists, including Cliff Childs, Winona Wilson, Christine Choi and Adam Paquette. 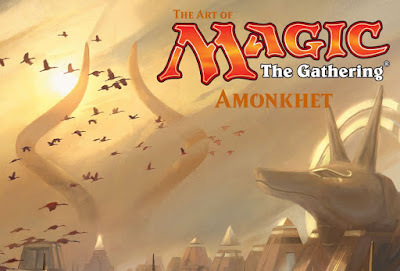 Additional insights and lore on the dangerous and beautiful world of Amonkhet are provided by bestselling author and Magic: The Gathering Senior Game Designer, James Wyatt. Amonkhet is the latest expansion game for Magic: The Gathering and is set for retail release by Wizards of the Coast in April of 2017. 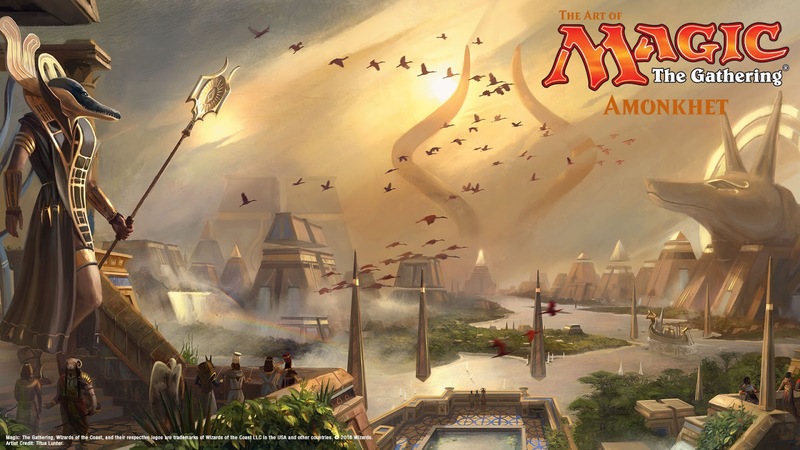 In THE ART OF MAGIC: THE GATHERING – AMONKHET, the Second Sun creeps across the sky, growing ever closer to the horns of the God-Pharaoh. These pages, lavishly illustrated with the award-winning art of Magic: The Gathering™, will introduce readers to the people of Amonkhet, whose life is a series of trials meant to prepare them for the great God-Pharaoh’s return. The glorious hope and desolate despair of Amonkhet awaits readers as the final hours draw near! • There is a gigantic monument dominating the image background showing "the horns of the God-Pharaoh" of the infamous Elder Dragon, Nicol Bolas. • The "Second Sun creeps across the sky" and we're quite certain that as the second set 'Hour of Devastation' arrives, there will be an alignment heralding the return of Nicol Bolas to Amonkhet. • To image left and image right there are very large monuments to implied therianthropic deities. In ancient Egypt, these deified forces included the elements, animal characteristics, or abstract forces. Watch the movie 'Gods of Egypt' to get a feel for the the landscape. • The monument on the right shows a form with the head of a Jakal (the god Anubis) symbolizing mummification and the afterlife while the monument on image left shows a form with the head of a Crocodile (the god Sobek) symbolizing the power of the Pharo and military strength. • on the bottom left of the image, there appears a group of individuals, again with some therianthropic qualities or perhaps just ceremoinial headress. One with a ram's head (perhaps the god Khnum associated with water and fertility), another with wings (perhaps the god Isis associated with wisdom and health) and another with the form of a Jackal. 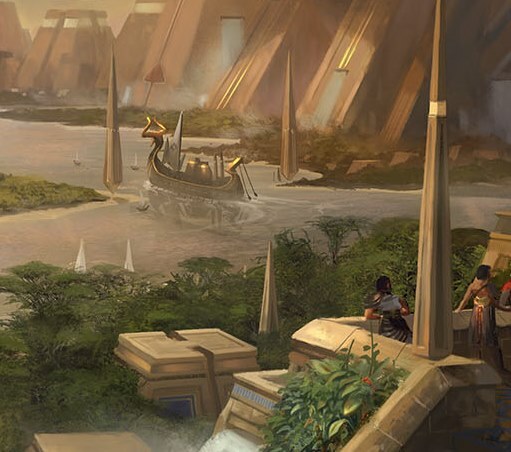 • On the river in the image is shown a large barge with the prow of this boat stylized after the head of Nicol Bolas. We will take the liberty to call this the Nicol Boat-las. We love the preview image and the opportunity to whet our appetite for speculation for Amonkeht and Hour of Devastation and hope that WotC posts more teasers like this. 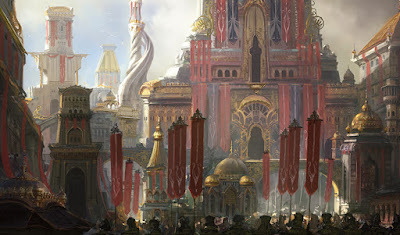 Today over on the mothersite, the Magic Creative Team, posted the Planeswalker's Guide to Kaladesh in the Magic Story section. You will want to have a read likely so the linky is right over here. Although we very much appreciate the post, we would suggest that Wizards of the Coast may have been better served by posting this sometime before the official release to better whet the appetites of Magic: the Gathering players and vorthos fans (like us). 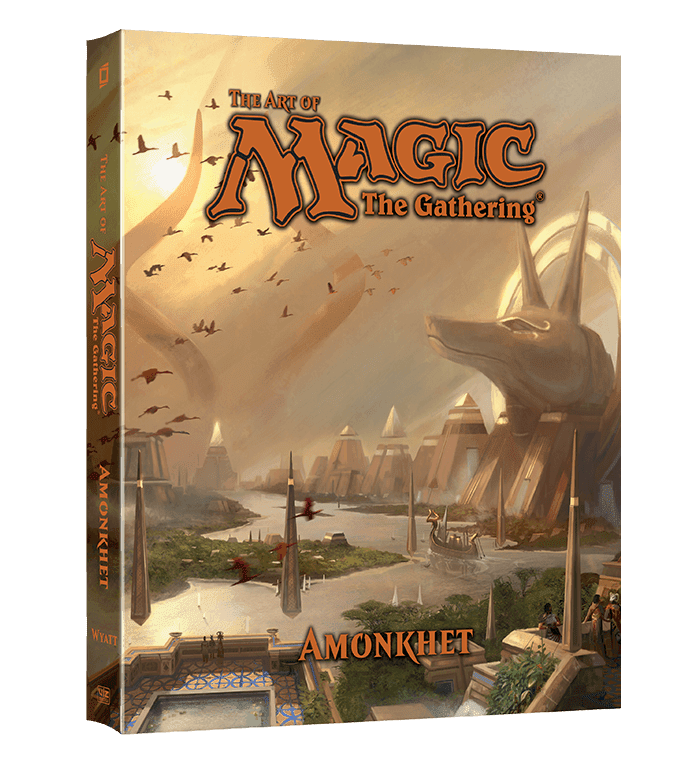 The Art of Magic: The Gathering - Amonkhet will offer readers insights about the people of Amonkhet, whose lives are a series of trials meant to prepare them for the great God-Pharaoh's return. The glorious hope and desolate despair of Amonkhet awaits readers as the final hours draw near! 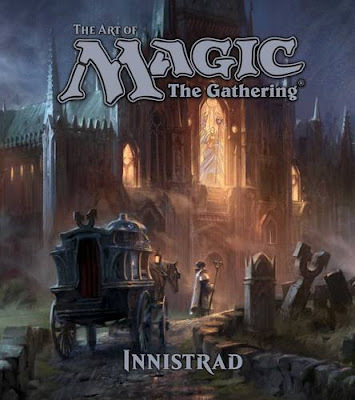 Optimism, innovation, and the spirit of creativity fill these pages, lavishly illustrated with the award-winning art of Magic: The Gathering™! Welcome to Kaladesh—a vibrant, beautiful plane where anything is possible. 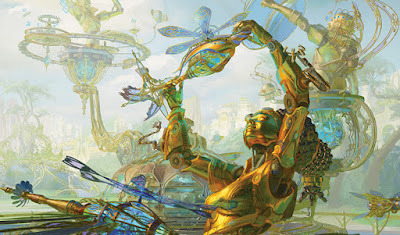 Join the heroic Planeswalkers of the Gatewatch as they explore the Inventors’ Fair, and let your imagination soar alongside thopters and airships crafted by the best artificers in the Multiverse. Terror falls from the skies on blood-spattered wings, and nameless horrors lurk in the shadows. These pages, lavishly illustrated with the award-winning art of Magic: The Gathering™, are your entry into a world beset by terrible evils on all sides and betrayed by the hope it held most dear. Tread lightly as you follow the heroic Planeswalkers of the Gatewatch as they investigate these dark mysteries, for the nightmare they will uncover is a threat to the whole Multiverse. In The Art of Magic: The Gathering: Zendikar, you will experience the danger and beauty of Zendikar like never before. 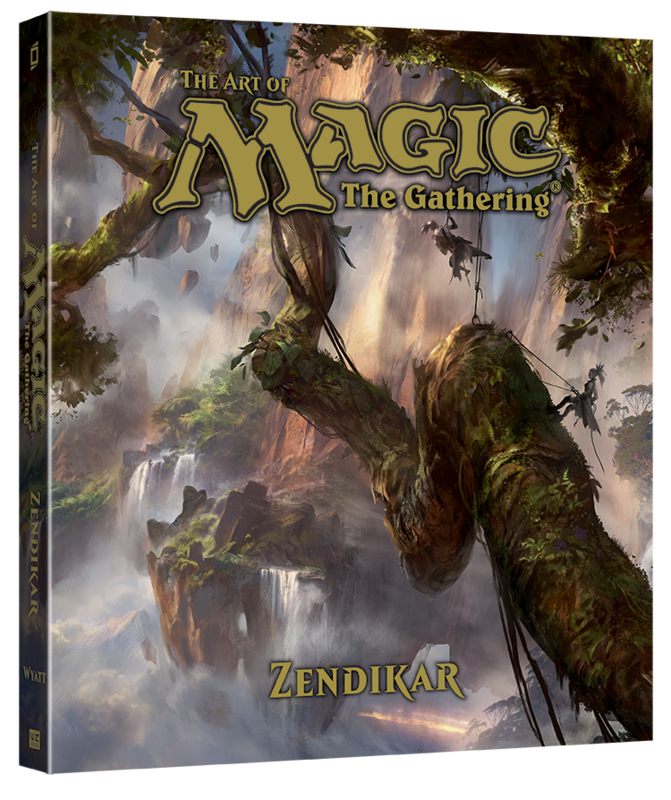 This lavishly illustrated, hardcover book features the award-winning art of Magic: The Gathering, and gives you an insider's look at the secrets of Zendikar — its peoples, continents, and creatures. 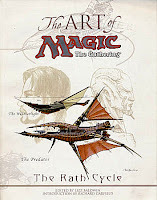 We should also mention that you should also cast your glance way back to 1999, when Wizards did release another art book - The The Art of Magic: The Gathering - The Rath Cycle. This book provided a vibrant collection of art and conceptual sketches from the Weatherlight, Tempest, Stronghold and Exodus expansion sets. 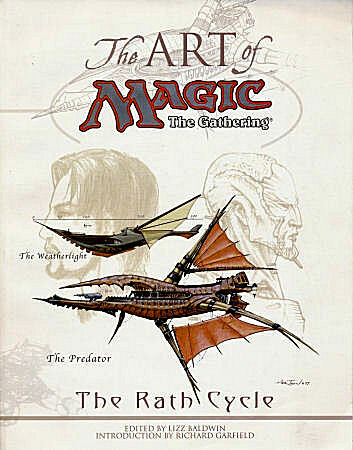 Get a behind-the-scenes look at the Rath Cycle and see how full-color illustrations emerge step by step from concept sketches.